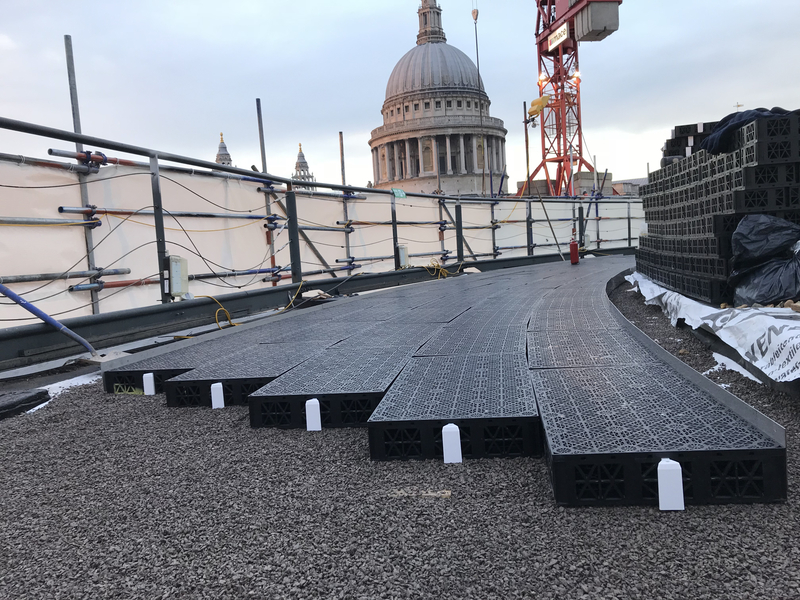 A two lane rooftop running track in the shadow of St Pauls Cathedral, offering breathtaking views of the London skyline. The New Bracken House project is a redevelopment of the Grade II* listed Bracken House building, providing 270,000 sq ft of Grade-A office space to be occupied by the Financial Times. 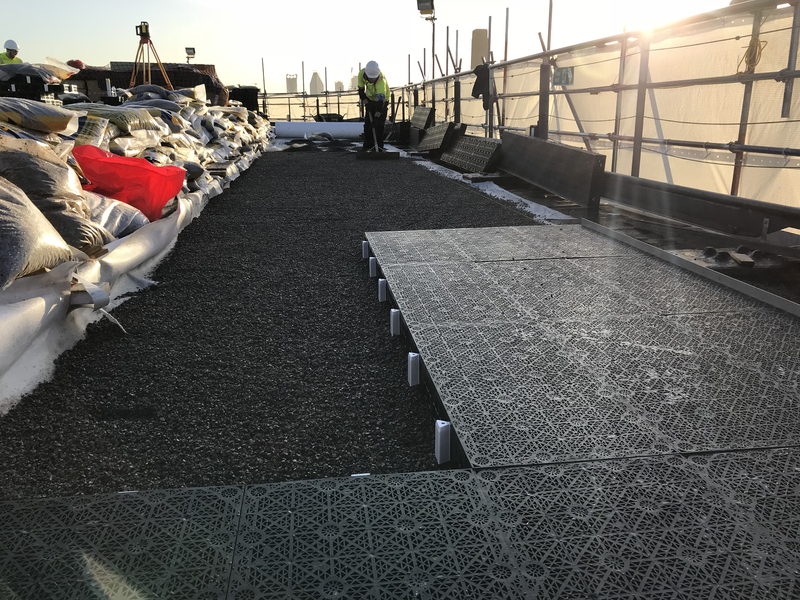 Part of this redevelopment project incorporated a state of the art rooftop running track offering breath-taking views of the London skyline. 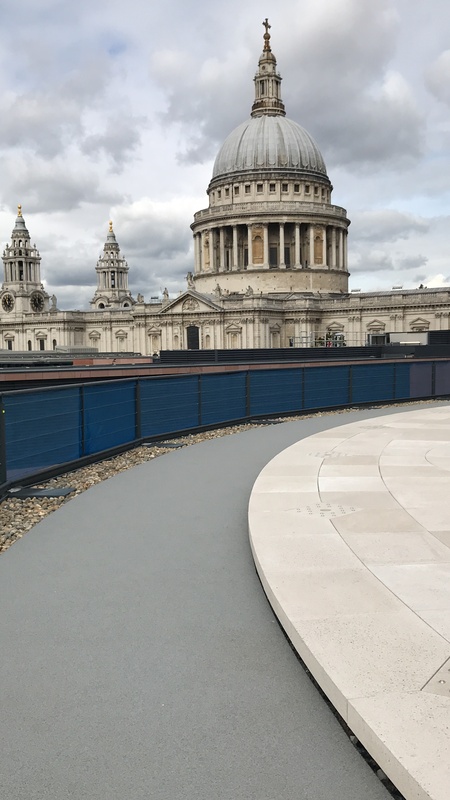 SELSports designed, supplied and installed a 160m two lane grey polymeric rooftop running track in the shadow of St. Pauls Cathedral. The bespoke running track followed the perimeter of Bracken House in a Rounded Rectangle fashion. 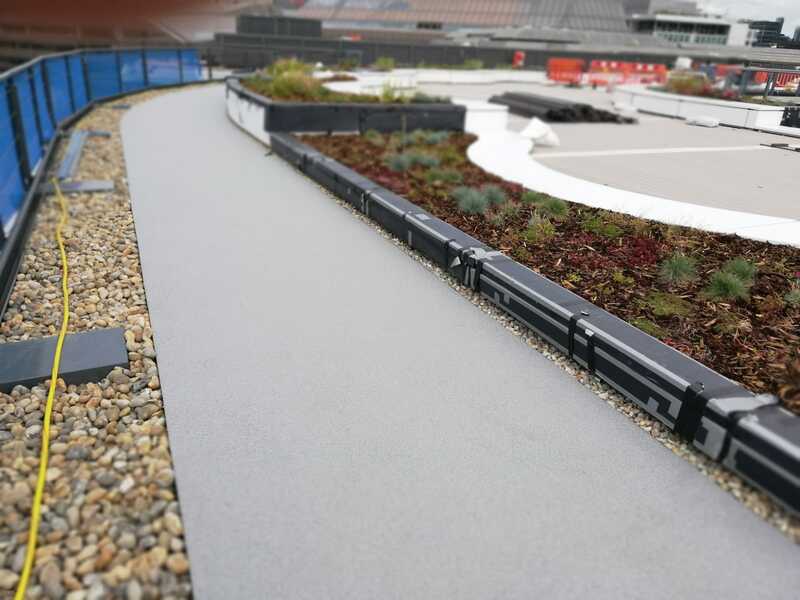 Specialist lightweight SELSports drainage units formed the base of the running track providing a strong and sturdy, lightweight foundation. 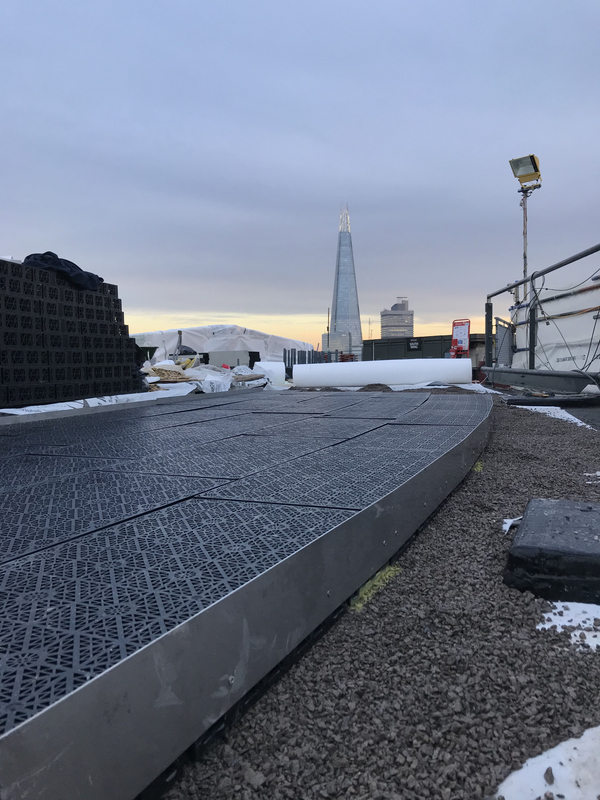 The SELSports drainage units are a highly voided plastic structure allowing water to quickly drain from the surface and accumulate within the drainage units where it can be stored and released at a controlled rate through rainwater outlets. 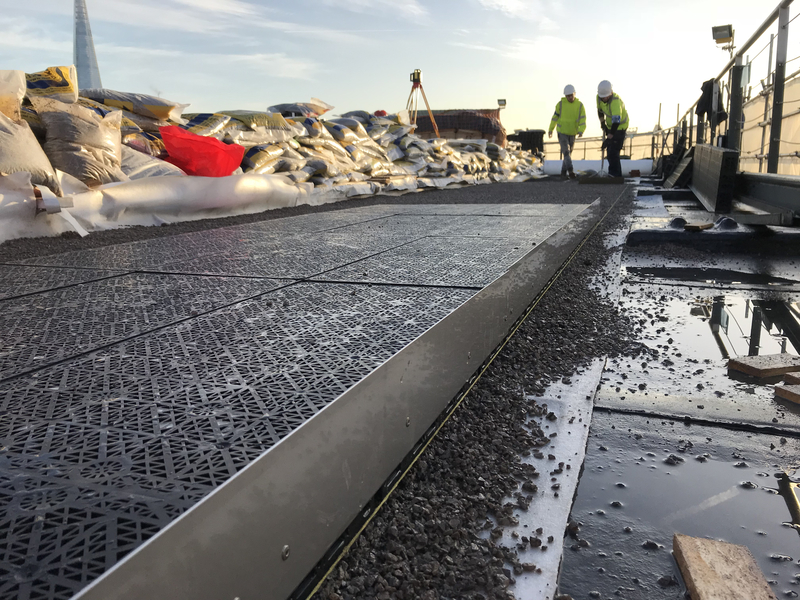 A stainless steel edge was fixed to the SELSports units with a specific upstand designed to retain and protect the resin bound gravel and polymeric surface at the desired construction depth. 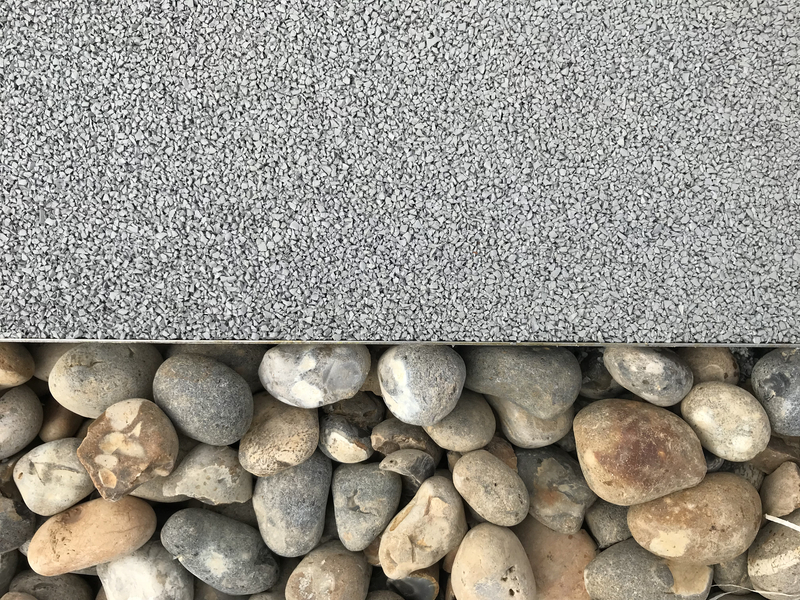 In addition to practical applications, the stainless steel edge also provides an aesthetically pleasing finish that will stand the test of time. In the interest of construction speed, the SELSports units were prefabricated into three box panels with the stainless steel edge fixed at the desired upstand. 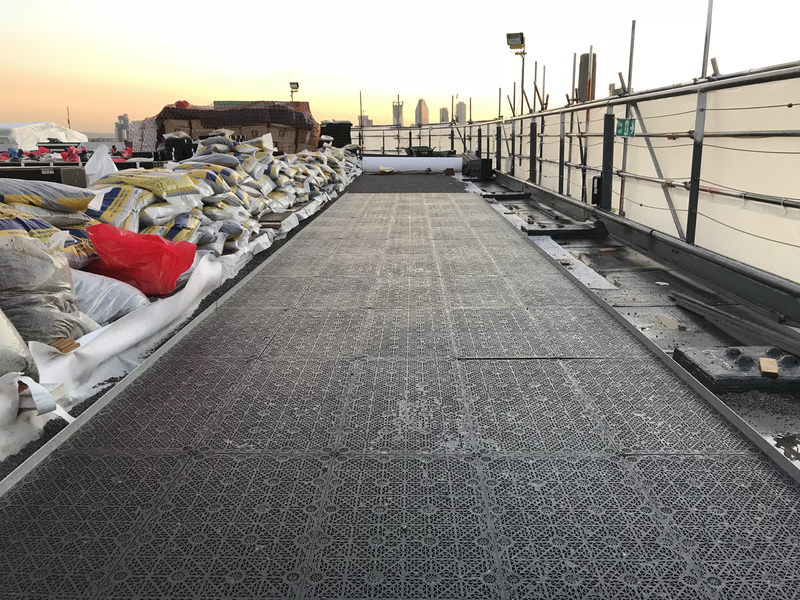 Extra consideration was required for panels located on the corners of the running track as they were prefabricated at a set radius in accordance with track dimensions. 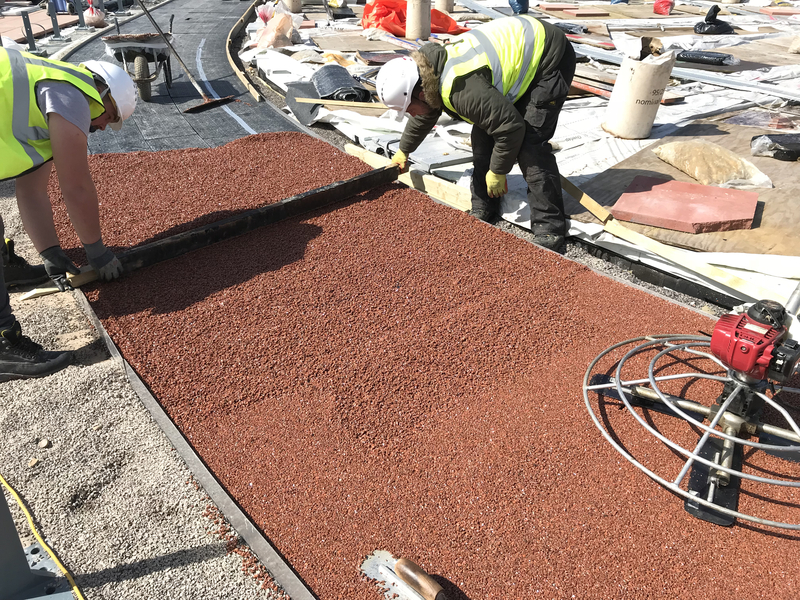 As an alternative to traditional porous asphalt, a layer of specially developed porous resin bound aggregate was laid on the SELSports units. 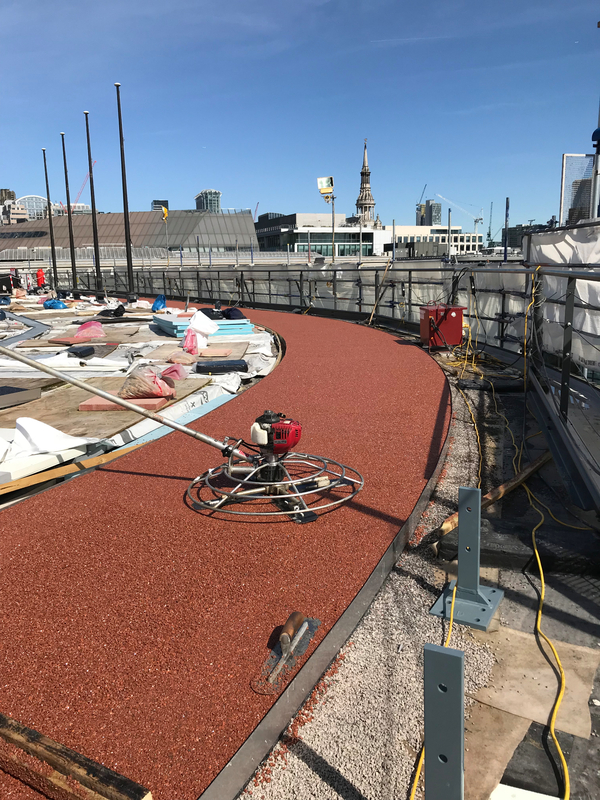 Once set, the resin bound gravel creates a mechanical interlock with the SELSports units and provides weight and rigidity to the running track. 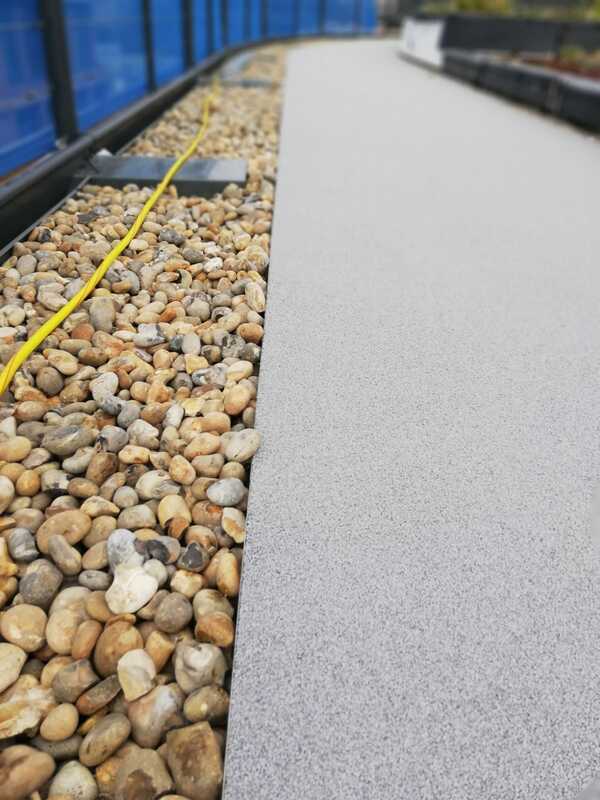 The stunning grey EPDM rubber running track surface was installed directly on the resin bound gravel to provide a seamless finish, in keeping with the state-of-the art roof design. The Client did not wish to have any line markings on the running track.